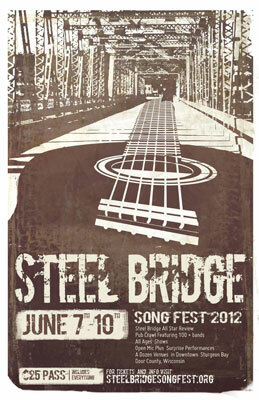 It’s that time of year and Mike Mangione & The Unions are off again to one of our favorite festival gigs: Steel Bridge! The festival runs from June 7-10 and we’ll be playing the main stage on Saturday June 9 during the day and taking part in the pub crawl event that evening. Musicians take over every venue in Sturgeon Bay (even the bowling alley!) and your festival ticket allows you entry to every location. $25 tickets purchased through Ticket Star will include a digital download of Steel Bridge Songs: Volume 7 (2012 Release)! These will be mailed out to you a a later date. Ticket allows access to all venues and also allows for priority admission to venues that are nearing capacity – ahead of persons paying the per venue cover charge. Certain venues may require passes for entrance. 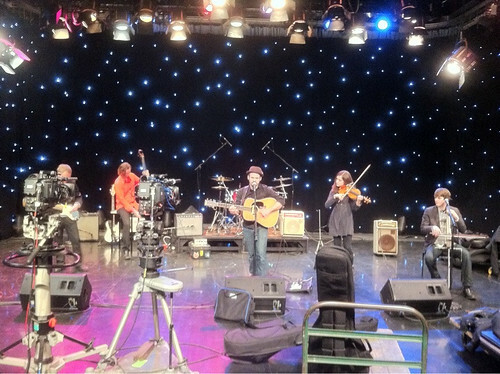 Big Thanks to WGN TV! Had a blast at WMSE and Shank Hall last night. All the folks at WMSE are so pro – they treat you like family and the sound that goes live over the airwaves is just amazing. I have audio of the three song set (Offering, Darling Little Sister, and You Were Beautiful Once) and I’m going to try and post it this weekend or sync it up to some video I shot and put it on ye ol’ YouTube if I can. Shank was also a blast – we played for alsmot two hours and it was great that folks just kept asking for more. Had a little trouble with the encore since we don’t really do that and my hihat stand went kaput. Thankfully it was when I was packing up for the night. Hahahaha – I love the word “git”…. I love double show days! Show #1 – playing on WMSE 91.7 during their pledge drive. I love playing at the WMSE studio- did it twice with Pezzettino – and this will be my first time with Mike and my union pallys.